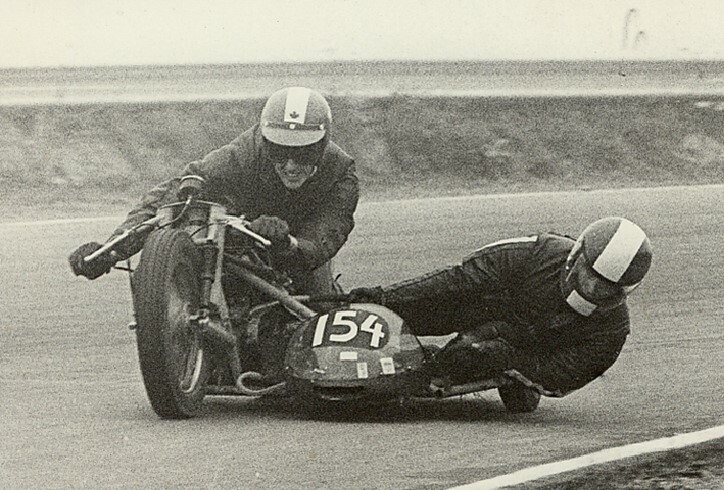 As the 1960s were ending, Duane McDaniels was at the top of his game, and that game was motorcycle road racing. With immaculately-prepared white Yamahas from his sponsors, Twin K Sports and Fred Deeley Ltd., Duane crossed the border from his home in Michigan and won the Canadian No. 1 plate three years running. Then, in 1972, as quickly as he’d arrived at the top, Duane decided to move on to other sports, and we didn’t see him again. It may have seemed abrupt but, in fact, his road racing career spanned a full decade by the time he retired. Duane started in competition even earlier, as an 18-year-old riding his Triumph at a local drag strip near Detroit in 1958. 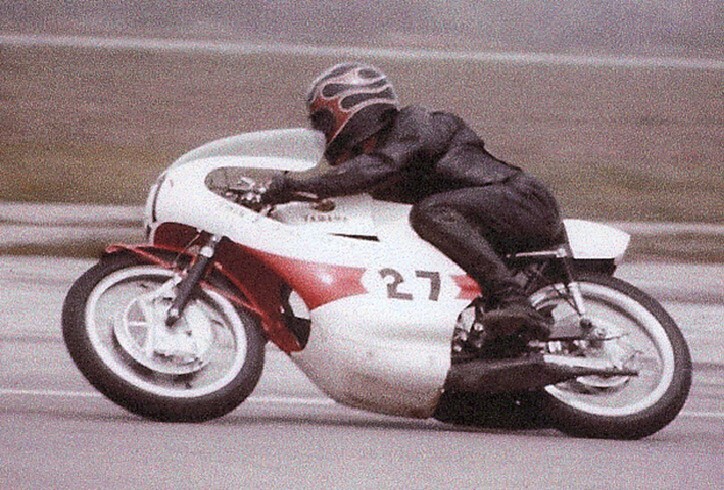 He eventually bought a 200 cc Ducati and began road racing in 1962 at Harewood Acres near Jarvis, Ontario. 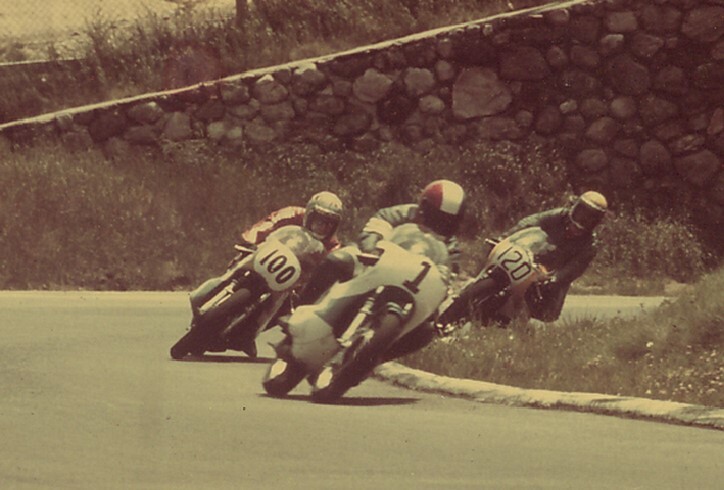 Eastern Canada was a hotbed of road racing at a time when few such events were being held in the U.S., and there was a strong contingent of Michigan riders at every race. Duane rode at Harewood, Mosport, St-Eustache and Mont-Tremblant. Dwayne McDaniels from Northern Ontario Motorcycle on Vimeo. Looking for a more competitive ride, Duane moved to a 250 cc Honda, then a Yamaha TD-1B, all of which machines he still owns. 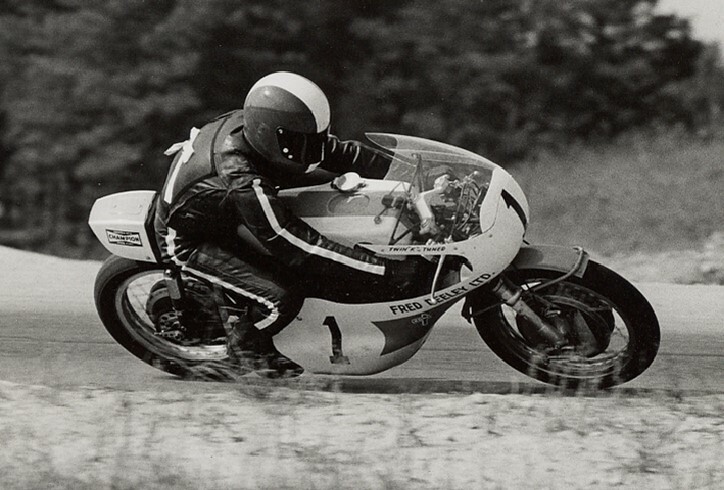 His success was sufficient to attract sponsorship in 1968 from a local Yamaha dealership, Twin K Sports, and Duane was quickly headed for the top ranks. 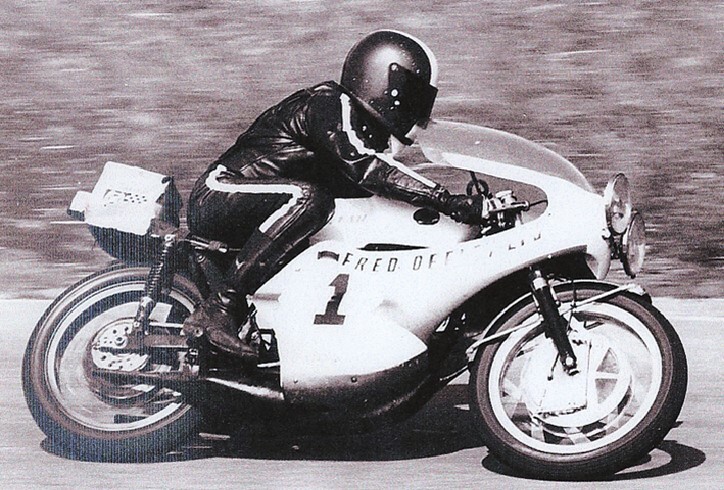 He won the 125 cc class of the Grand Prix of North America in 1968, and the Canadian Grand Prix in 1969, as well as the President’s Trophy and traditional headdress in BEMC’?s Indian Summer Trophy Races. 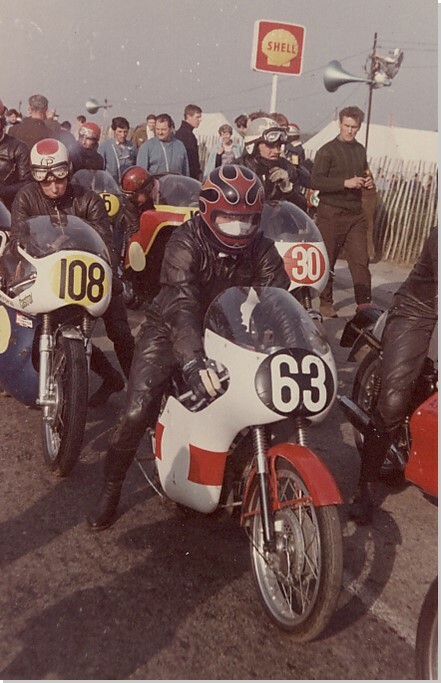 A call from Canada’s Yamaha importer, Trev Deeley, brought the offer of full sponsorship for 1970, and the stage was set for Duane’s greatest success. 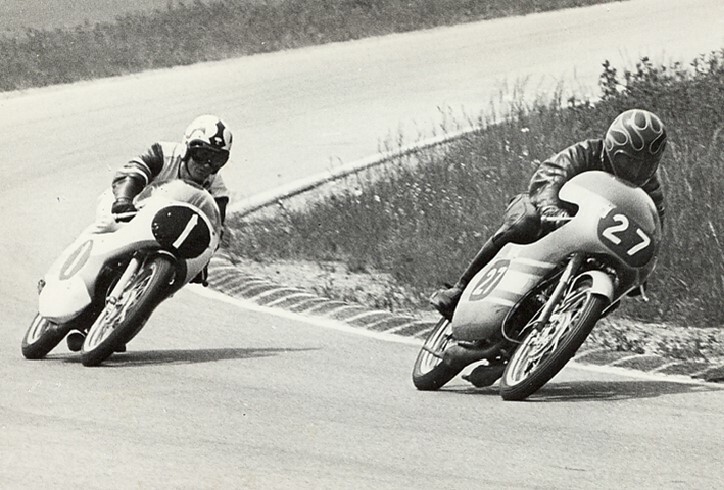 His sponsors confidence was rewarded with a trio of Canadian national championships in the 125, 250 and 500 cc classes after a season of battles with a who’s-who of North American racing of the time. 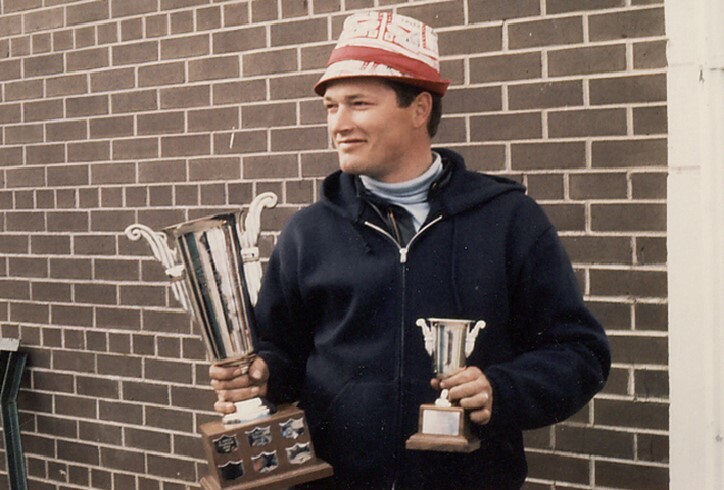 Names like our own Dave Lloyd, Conrad Urbanowski, Sandy Douglas, Doug Teague, Frank Mrazek and Jean Lysight ensured that Duane’s wins didn’t come easily. 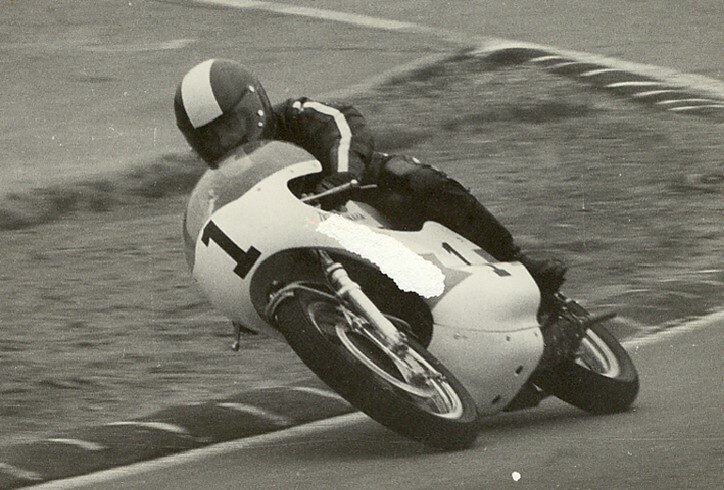 He also claimed Mallory Cups in the 125 and 250 cc classes, The Imperial Trophy, the Centennial Trophy, and the prestigious Kaye Don Award. 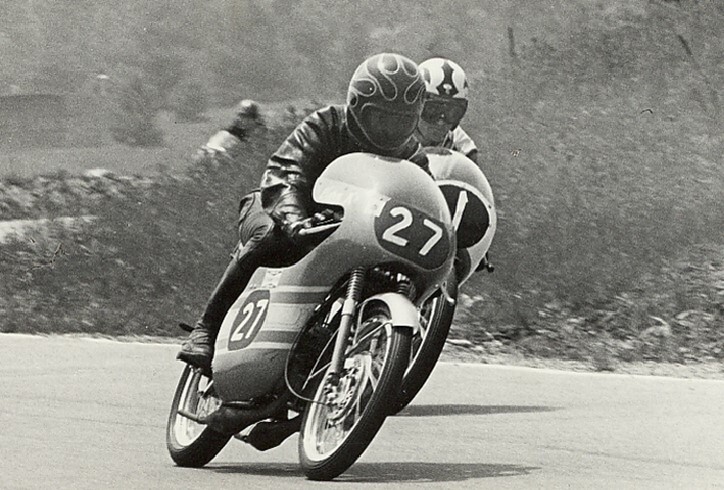 Duane also raced in a pair of 24-hour production races, the first on a Triumph at Harewood during the old airport track’?s final season in 1970, and the next at Mosport on a Yamaha, where his team placed fourth overall and first in the 250 cc class. 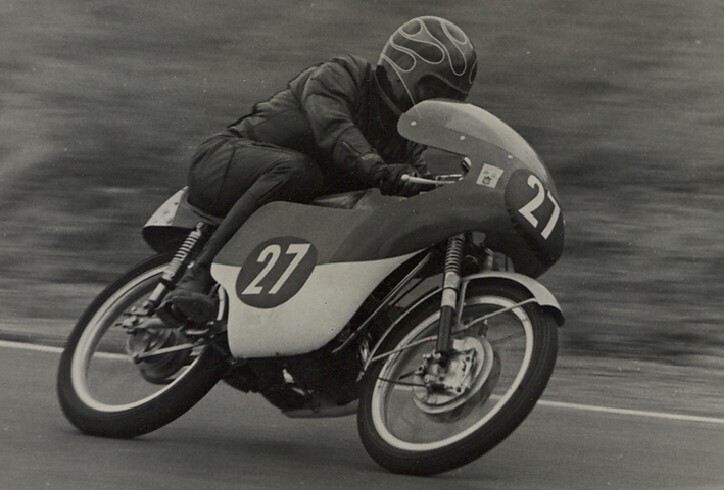 In 1971, Duane won the 125 cc class in the Canadian Grand Prix, his third consecutive Indian Summer headdress, as well as Mallory Cups and national championships in the 250 and 500 cc classes. Then, he decided that was enough and moved on to sailboats, iceboats and windsurfing. He still kept in touch with motorcycling friends and remains an avid rider on the street. 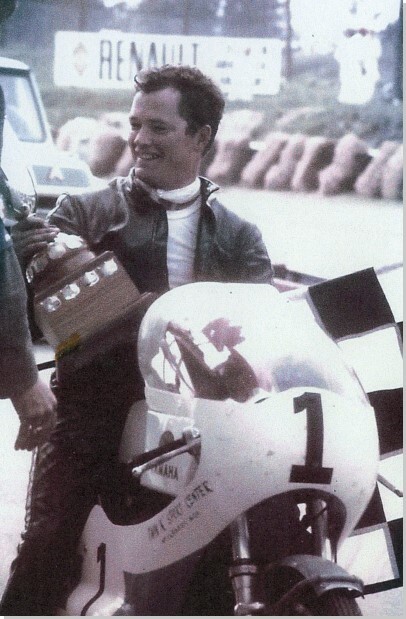 According to his friend, Doug Teague, another road racer of the highest order, “The most endearing and enjoyable quality I recall that Duane always demonstrated was his enjoyment and support of the community of competitors that made up the sport of Canadian road racing. Duane always had a smile and an engaging story about everything and everyone who made up the weekends of racing we all enjoyed”.